We’re only a few days removed from what was an extremely exciting Trade Deadline. The Anthony Davis saga did not stop the rest of the NBA from making a slew of deals that could change the landscape of the league beyond this year. To recap some of the different trades that took place around the rest of the NBA, let’s hand out some Trade Deadline Awards. 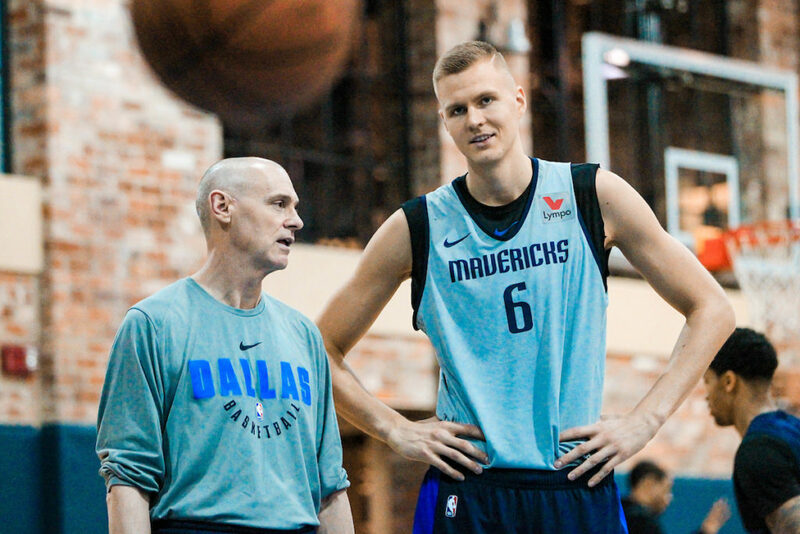 Dallas is going all-in on their Euro Duo (Yes, I named them) and I’m all for it. Okay, they gave up a 21-year old 2018 lottery pick, as well as a pair of first-rounders in the 2020s. That’s risky, but it has also put them in a position to be successful for the next decade. 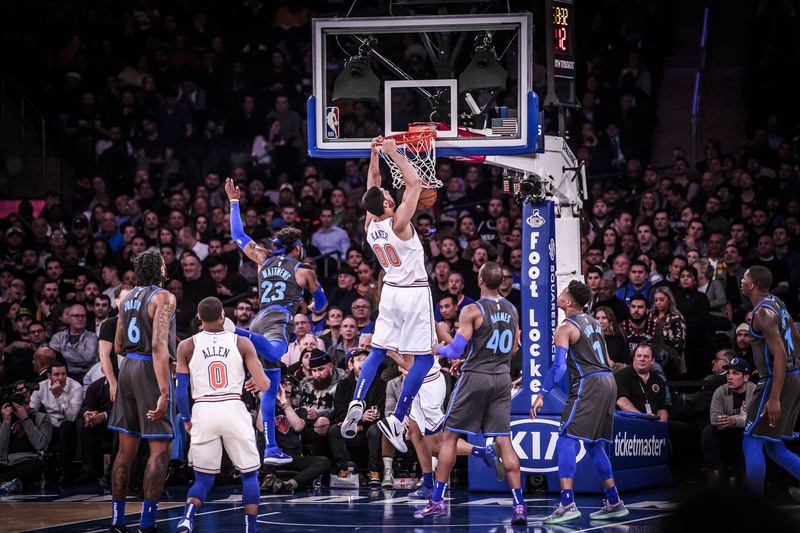 Porzingis is still just 23 years old, so he’s young enough to hopefully make a full recovery from his ACL tear. Pairing him with Luka creates a deadly PnR connection that makes me giddy to just imagine! This actually wasn’t a bad trade by the Sacramento Kings (which says a lot about how good of a year this has been for them). They acquired a proven wing scorer with championship pedigree to a team that’s just ½ game out of the playoffs. And Barnes’ max contract status won’t be a long term bother either because he’s only on the books until the end of next season. 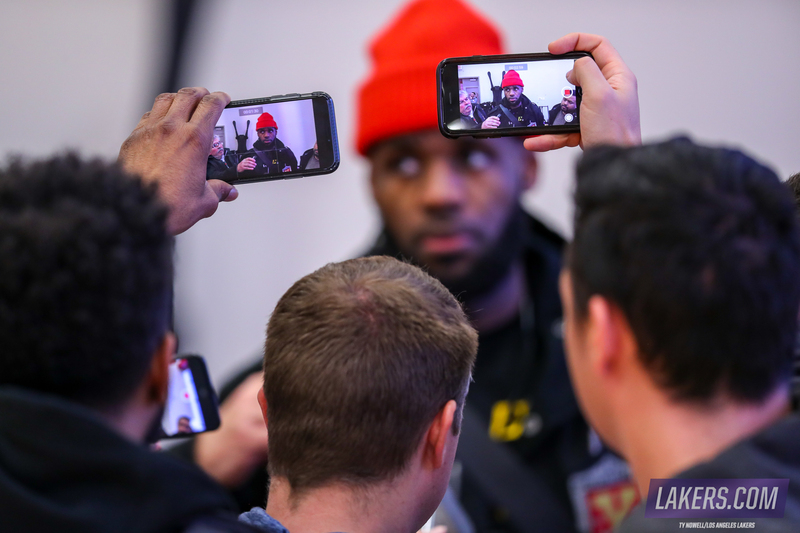 But let’s be real right now: LeBron James will determine whether the Kings can make the playoffs or not. The way I see it, the Clippers are the only real fringe Western Conference Playoff team right now. With just one slot remaining for three teams (Clippers, Kings, Lakers) separated by one and a half games, I really do the believe that it’s going to be all up to whether LeBron wants to push for the playoffs or take a year off to wait for Davis. Sorry, Kings fans. Harrison Barnes isn’t bad, but he’s really not going to be the reason you make your first playoffs since 2006. The Bucks are the best team in basketball right now, and they just got even better. Their already mind-bending offense, as Jon Rodriguez put it, has a new long-range weapon in Nikola Mirotic. He gives Milwaukee their fourth snipper that’s 6’8” and above (Lopez, Middleton, Ilyasova) as they continue to surround Giannis with length and shooting. Mirotic is one of the most streakiest players of all-time (just take a look at his monthly shooting splits). But March and April are two of his best months, so the Bucks may have acquired him at just the right time. Most of the East’s elite may have bolstered up with bigger names, but the Bucks’ acquisition of Mirotic may still make them the team to beat. 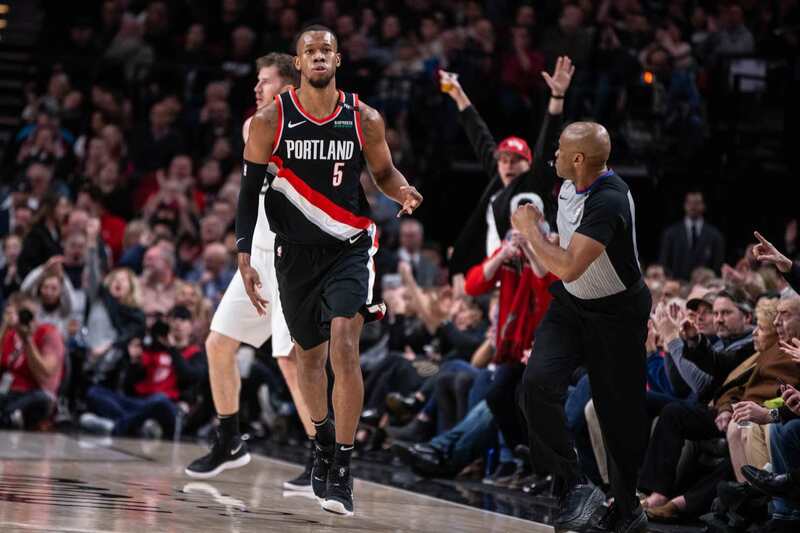 MOST CONFUSING: Blazers bolster their roster with… Rodney Hood? The Blazers have had a tough go in the playoffs with this core group, and the biggest concern has been the lack of scoring and shot creation outside of Damian Lillard and CJ McCollum. Neil O’shea knew he needed to inject some of that scoring punch into his team before the playoffs, so he picked up some expendable assets and started searching. The problem is, Rodney Hood is the lite version of the AAA version of who they were looking for. He’s an inefficient chucker who has never shot beyond 44% from the field in his career. It feels like the Blazers are hoping Hood becomes what the Cavs wanted him to be in last year’s playoffs. He ended up averaging 5.4 points and 1.8 rebounds on 42.4% shooting in the 2018 playoffs. This also feels like what thought Evan Turner was going to be when they got him from the 76ers in 2014 (he was really, really bad). This is also probably what the Blazers thought Evan Turner was going to be when they signed him a ridiculous $70M deal in 2016. When you have two front offices with clear visions, you get a trade like this. I absolutely love this deal for both ends. On one end, the 76ers continue their win-now movement. Tobias Harris is a fringe All-Star that provides scoring and spacing at the four position. He’ll slot in brilliantly alongside the rest of the starters in Philadelphia. The looming concern is the fact that both Harris and Jimmy Butler are free agents this off-season. Philly has stated publicly that they are interested in resigning both players, which is possible, albeit extremely expensive. Still, the idea that they acquired this amount of talent and mix of youth and veterans provides an incredibly exciting outlook for them in both the near and distant future. 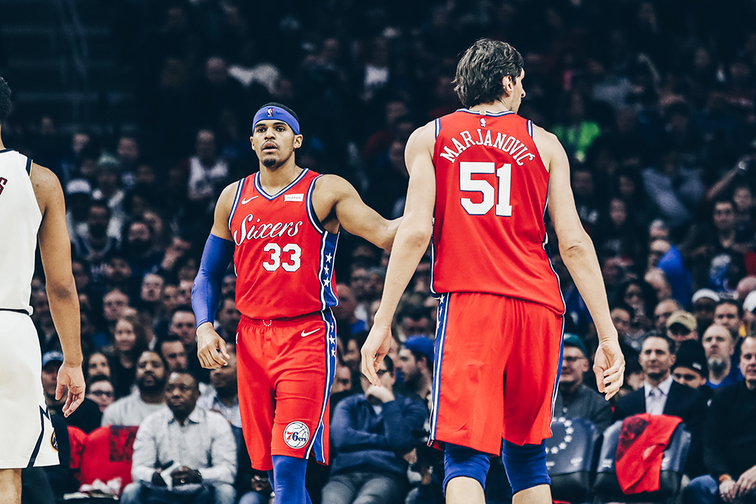 The 76ers also received a pair of solid bench players in PER god Boban Marjanovic and hockey jersey king Mike Scott. Depth has also been a major issue for Philly, but in Boban and Mike Scott, Philly pretty much has lesser versions of their starting bigs. On the other side, the Clippers have opened up a slew of opportunities for themselves with this trade. Applaud them for acquiring a young piece (Landry Shamet) and a bunch of picks, including the coveted 2021 unprotected Miami Heat first-rounder. They were able to clear their books for a max player in the off-season, and it’s pretty clear who they’ll be chasing. They even have enough assets to at least attempt to make a play for a star via trade to pair with their marquee signing. However, if they do strikeout completely, they have a young stud in Shai Gilgeous-Alexander and slew of picks to kickstart a rebuild. This was brilliant deal for both parties, making them two of the biggest winners of the 2019 trade deadline. Imagine you were at work and word got around that they were going to fire you because the new boss found someone better. Then imagine that for the next two weeks, word would get around that around half of the company would be laid off for the same reason. Then imagine your boss suddenly tell all of you to get back to work because the layoffs would have to be delayed a few months. Would any of you want to go to work? What’s the point, right? That’s where the Lakers are right now. They didn’t get Anthony Davis, and pretty much everyone on their team was either traded or rumored to be traded. It remains to be seen whether the Lakers have lost their chance to secure Davis, but as for the now, things are certainly extremely awkward in LA. This is really bad news for a team that’s one and half games out of the playoffs, especially because it also means question marks regarding LeBron’s effort for the rest of the year. The Bulls still haven’t bought Lopez out, but everyone is still expecting the 7-footer to be available in the coming days. He’s a great defensive big man that has the experience and toughness to be a solid piece for a contender come playoff time. That’s probably why the Warriors are reportedly interested. Gortat is pretty much cut from the same cloth as Lopez, but just a little less enticing due to age and the lack of decent jumper. Teams that may miss on Lopez will likely go for second-best by going for the Polish Hammer. Kanter’s another big, but may be a little less enticising since his defense makes him borderline unplayable. Still, a team looking to add some scoring punch to their bench could make use of Kanter’s traditional skill set in spot minutes. Lakers’ back-up plan to AD?